A couple of cool things for you, my wonderfully readers. I asked my beautiful wife if she needed to stop at the book store on the way home from dinner last night. Although she did not, she reminded me last night that I did. Because she's much smarter than me, I then asked if she knew what book I was looking for. She tried Dungeons & Dragons and World of Warcraft before coming to Guild Wars. Had I not been driving, I would have slapped myself in the forehead. I'm now the proud owner of Ghosts of Ascalon. Only a few pages in, but so far the writing isn't awful. That's all I expect from a media tie-in novel, so I'm happy. An actual review may follow. The most recent post about Guild Wars 2 details leveling in the game. Evidently there will be eighty levels, but that the leveling curve is actually flat. So it take the same experience to go from level one to two as it does from level seventy-nine to eighty. Hunter from Hunters Insight has an unusually brief analysis of the news because the news itself was so inconsequential. Ravious from Kill Ten Rats asks the apropos question "What's the point?" (This may be the most divisive post from ArenaNet solely based on the lack of detail.) After giving it very little thought, I'm wondering if leveling will follow the (Dwayna help us all) Call of Duty model of leveling to access perks and other bonuses. I have nothing to base it on, but I think it would be funny. Much like the WoW forums, the best news for the Champions Online superfan can be found on the CO forums. So instance, this recent post from Balseraph about the upcoming pet power review. I've read about how much fun Masterminds are in CoX, but I never tried something like that in CO. Reading about this power review makes me want to try it. The entire thread is full of dev posts, so anyone really interested (and I'm willing to admit that I may be the only one) would be rewarded by reading through it. That enough for one day. Now I'm going to play Dragon Quest IX. Unless my supervisor catches me, in which case I will work. © 2010 Marty Runyon. All rights reserved. Sometimes, I just want to whack bad guys on the head. A lot of games out there are great with the story and the words, but there is something satisfying about interacting with everything in the game with your sword. Thankfully, DeathSpank does that really well. DeathSpank is an action RPG in the vein of Baldur's Gate: Dark Alliance. Your hero, the titular DeathSpank, is on a quest to find an artifact of some sort. Because that's what heroes do, evidently. There is a lot of stuff in the game like that. 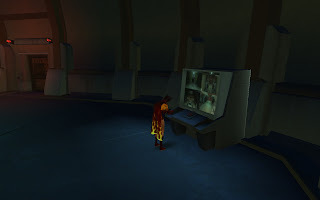 Hothead, the game's developer, play the games story for parody, while at the same time keeping the game systems really tight. It plays well and is easy to comprehend. One nice aspect is that there are few hard gates on the content. Instead, zones are soft gated by level differences. That gives you a lot of freedom to explore quests as you run across them. But it can also let you chase down a much too difficult rabbit hole when there might be quests better suited for your level. It took me a few days to get through the game. I enjoyed my time playing, but I did need to take breaks now and again. There were several instances where I was happily bashing my way through enemies when I was suddenly receiving the low health warning. Or even worse, several monsters are can one or two shot you without blinking. It's not the most amazing game released, but DeathSpank was a lot of fun and a good way to spend my gaming time. A great post over at Massively muses on how the introduction of heroes changed how Guild Wars is played. Many people decried how heroes destroyed grouping and turned it into a single player game. The reason I bring it up is because the lessons we learned from Guild Wars highlight a problem in MMOs at large. While the argument is that heroes destroyed the community, I believe that heroes just highlighted that the community had already failed. At least, the community that people want to imagine had failed and ArenaNet took steps to fill in the gaps. And they are not the only ones looking to correct the social problems posed by MMOs. One of the early aberrations in the MMO field was the notion that people had to play in groups to accomplish anything in the game. The most iconic was EverQuest. People learned how to solo in very specific instances, but that style of play was entirely counter to the design of the game. Nowadays, the most notorious example is Final Fantasy XI that has no solo options, while at the same time actively discouraging informal groups from forming any cohesion. The accepted wisdom among developers and players is that people have more fun when they play in groups. So to get people to play together, they designed games that required people to play together, assuming that forced grouping would somehow force them to have fun. Players reacted by forming static groups among real life friends so that they could all play together. And they banded together into guilds so that they would have a social structure that would make it easier to find groups. This obviously worked well for some people. It is these people who you see asking for greater amounts of group content to shore up the social structures that they've built. But if these options worked so well, no one would have created the term "pick up group". For many people (people like myself), these games are amazing experience that they want to participate in. They just do not have the ability to easily form or integrate into these social structures. Ad-hoc groups are formed to tackle group content and then broken up when the task is accomplished because otherwise they do not get to experience the game. And everyone hates pick-up groups, so some people would rather not group at all than deal with other random players. Forced grouping is a failed concept and developers have been moving away from that paradigm for years now. World of Warcraft was famous for letting anyone reach the level cap whether they group or not. But they also added the Random Dungeon tool to take the friction out of finding a group. Guild Wars launched with henchmen and heroes were just a refinement on the concept. And now Guild Wars 2 will have dynamically scaling events that allow any number of people to participate. 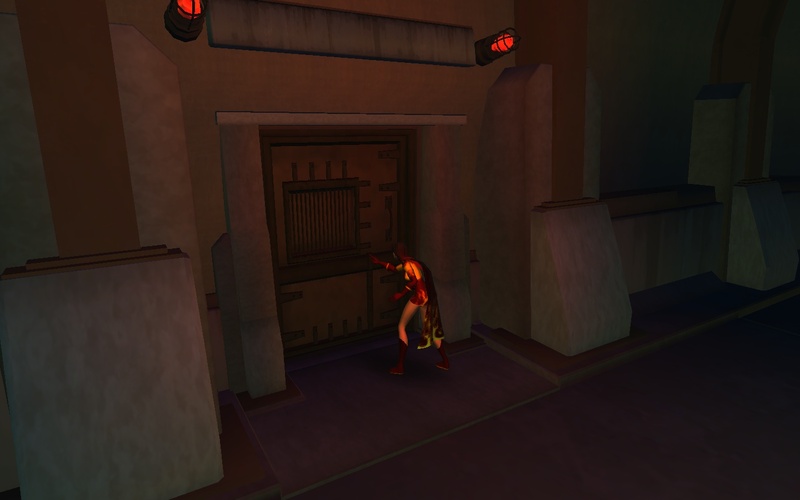 Even Champions Online's adventure packs have embraced scaling content. I can understand why people who went to all the trouble of forming guilds so that they could play games might be upset as solo options become more prevalent. But that's what it is to most people: trouble. Players just want to play their games. They don't want to spend hours getting ready to have fun. Content scaling promises to let players of all social strata partake. But if MMOs want to get out of the niche they are in, they have to embrace all kinds of players. Forced grouping is an exclusionary practice that will prevent people from playing and enjoying the games that we love. So, EQ2 finally fell in line. From a story found on Massively, by way of Ardwulf's Lair, we learn the SOE is trying to bolster the numbers of their flagging flagship MMO by adding free-to-pay servers alongside the traditional subscription servers. They even put out a handy chart that looks an awful lot like the one Turbine released for Lords of the Rings Online. F2P is the new black. Everyone wants a piece. But is it really going to be good for these games? Looking at those charts makes my head spin. Choosing the right payment plan shouldn't be as complicated as choosing the right life insurance policy. For now, I take a wait-and-see attitude. Green Armadillo, who was until recently enjoying Runes of Magic, has run up against the design speed bumps required to make the item shop work. Is that what we have to look forward to from these previously triple-A titles? I have to admit that I haven't had much luck with F2P games because the game designs feel so dishonest. Not that subscription games can't string you along just to squeeze another month out of you. But that's not so blatant as selling you an XP potion to speed you past content gaps. For an additional take, check out Jayedub's post at Dub's Diatribe. There is a lot I agree with there. As I commented on his post, F2P will be good for people for whom money was the only issue for them not playing. It doesn't make an unattractive game better, and it doesn't help the people who already liked the game enough to pay for the subscription. In other news, Blizzard has installed a new swimming pool at their headquarters. However due concerns about saving water, they filled the pool with money instead. I didn't know anything about Playdead's new game, Limbo, until I saw the quick look video over at Giant Bomb. I was immediately hooked by the game. The art style, the ambient soundtrack, the straightforward play mechanics. Everything I saw in that video looked amazing. I just had to wait the couple weeks until it was released on XBLA. I picked up the game on Friday, downloaded it, and played it through to completion over the course of a few hours. Fifteen dollars might seem like a lot for a few hours of entertainment. But in this case, it was absolutely worth it. From a gameplay perspective, Limbo looks like a standard side-scroller. But at its heart, it's really a puzzle game. Many of the puzzles are physics based, which I wasn't expecting in a side-scroller. They let you do some really cool things and I felt pretty good when I figured out some of those puzzles. I ended up looking up three spoilers over the course of the game. They each came later in the game. 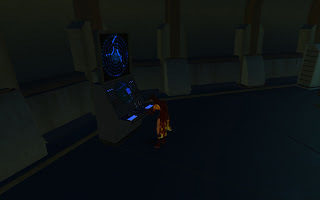 Some of the final puzzles are quite devious and I doubt I would have solved them with a walkthrough. (Thanks, GameFAQs!) I don't feel about about looking up the solutions because otherwise I probably would have quit playing. That would have been unfortunate. Of course, I just spent all those bullets talking about the gamey part of the game when half of the experience is the game's style. The graphics are rendered in very atmospheric black and white, backlit like you're watching a shadow play. And their is no traditional soundtrack. You experience the sounds of the world and ambient tones that invoke the title perfectly. Limbo was everything I was hoping for out of the game. Breaking through the final puzzle to reach the ending was hugely satisfying. It was the perfect first game for XBLA's Summer of Arcade. The rest of the releases have a lot to live up to now. A quick note to start off this roundup. I'm pretty sure that not a single one of these comic came out on July 21. That might strike you funny; it does me as well. My comic purchases have dropped off dramatically so it has been a few weeks since I visited the local shop. I let issues build up until the trip is worthwhile. Enough of me. On with the comics. Batwoman: Elegy deluxe hardcover edition - Collecting all seven issues of Greg Rucka and J. H. Williams III's run together on Detective Comics, there was now way I could leave this book on the shelf. I'm not a huge fan of most DC comics, but I'm a huge fan of Rucka. His work here, setting up a great character, along with amazing art by Williams, makes this a high recommendation for anyone with an interest in superhero comics. My one quibble is that the comics make great use of two page spreads that look beautiful in single issue, but lose the inter margins because of the binding. Read it; it's wonderful. The Man With The Getaway Face - I loved Darwyn Cooke's first Parker adaptation, The Hunter. And now I'm eagerly awaiting the second, The Outfit, which is actually based on the third Parker novel. But instead of skipping the second book entirely, Cooke decided to adapt it as a prelude to The Outfit because it has some bearing on the rest of the series. Since it's scheduled to be printed as the opening chapter to the next comic, I was going to leave this one on the shelf. But curiosity got the better of me. Cooke's art, as in the previous book, is beautiful and expressive. The oversized pages in this issue let you really study it. The story was great, as well, though I wonder if the original was just as slight or if Cooke had to simplify a lot to get it all in. Either way, I'm looking forward to The Outfit even more now. X-Women one-shot - The long awaited (by me at least) collaboration between Chris Claremont and Milo Manara finally made it to the U.S. in this one shot edition. As I expected, the art was wonderful while the story was rather light and fluffy. Honestly, that's all I really wanted from the book. Anyone looking for an important, mature story might be missing the point. I would like to see it in a large European-scale book though instead of the standard American comic size. I've always liked the idea of Rogue-like games, even if I can't stand the arcane nature of most of them. But thanks to Ravious of Kill Ten Rats (who writes about more than Guild Wars evidently), I discovered Desktop Dungeons. It is a fun, little game that is easy to get into. Since the levels are randomized single levels, they can be played in just a few minutes. I'm quite hooked on the game. I gave in and started playing Dragon Quest IX. I love the fact that each game in the series is a refinement and improvement on the prior game. If you haven't played one since the first, you will be immediately familiar with this game. There is something to be said for the way series like Ultima or Final Fantasy rebuilt each sequel from the ground up for the sake of innovation. But I appreciate that SquareEnix continues to iterate on the series. I like having a solid base to go back to in each game. I went to Best Buy yesterday to buy a new set of ear buds. (I'm very hard on them and replace them constantly.) While I was wandering through the store, I spotted a 3D television demo. At first I just walked away. But the second time I saw it, I figured I might as well see how well it worked. It looked like I was looking through a Viewmaster. Give it up, folks. I want full holography or nothing. Not sure how I missed it, so thank to Blue Kae for pointing out the newest State of the Game post for Champions Online. He already did a great job breaking down the post, so check it out on his blog. Earlier in the year, Cryptic laid out a plan to alternate patch releases to alternate between system updates and content additions. In the latest SotG, Poz (CO's executive producer) essentially tells us the plan is still in place. The next patch will include another power rebalance, this time focusing on pet powers. We also get various quality of life updates like improved interface elements, costume updates, and an additional difficulty setting. For some people impossible is not hard enough. Then on the horizon is the next adventure pack, The Demonflame. After hearing so much about Qliphoth throughout the game, it will be nice to finally see the demon dimension in person. Plus, I'm hoping that they will drop a bunch of the mystical crafting items because I'd really like to craft my travel power someday. I wrote earlier in the month that I was afraid that Cryptic was too quiet about their superhero game. I'm glad to see that my fears were unfounded. I look forward to seeing all of these new goodies in the game. Far too long since my last post. Bad, blogger. Bad! Anyway, my writing has has kept me busy. And since I'm such a ponderously slow writer, focusing on my fiction pretty much slams the brakes on my blogging. But no more. Blogs for everyone today! My spam folder caught hold of a Starcraft II beta key a couple days ago. I almost threw it out because the subject line was not quite right. (There was a missing open parenthesis on the trademark.) But it had actually key that, when plugged into my Battle.net account, really unlocked the SC2 beta. I was so stunned that I had to tell my wife. Getting a key was the highlight of my beta experience. Everything after that (including playing the game) is a decided "Meh." I started a practice game, recruited several SCVs, built some buildings, then resigned the match. I know that I don't like traditional RTS games, and SC2 is very much that. Only having multiplayer options didn't help the experience. There was a small part of me that considered trying the game for the single player aspect, but I doubt that will happen now. I'll stick with Dawn of War II for my real time needs, thank you very much. Does anyone else read the webcomic Ménage à 3? I think it's hilarious, but it's also NSFW in every sense of that N. I ordered the second compilation volume and it just arrived today. I'm so excited. I know it seems weird, but I love buying print copies of my favorite online comics. It's just about the only way for me to support them and I don't need a bunch of t-shirts and coffee mugs. Finished season three of Mad Men in my favorite way: cuddling on the couch with my wife. And just in time for season four to kick off on AMC. Or maybe we'll wait till the DVD comes out. Decisions, decisions. I'm still working my way through Puzzle Quest 2 on my DS, although I also have Dragon Quest IX waiting in the wings. I want to play both, but I'd hate to get lost due to constant switching. Not that PQ2 won't hold. It took three years to beat Puzzle Quest and I didn't have any trouble coming back after months away. Also on the gaming front, I picked up DeathSpank on Xbox Live Arcade. It is a fun little hack-and-slasher that reminds me of older games like Baldur's Gate: Dark Alliance and Champions of Norrath. I appreciate that content is soft-gated so you can attempt challenges that are higher than your level. At the same time, it's easy to get frustrated trying that content if you missed lower level quests. I wasn't immediately taken by the dialogue and voice acting, but it's growing on me. I doubt that DeathSpank will be a long game, but I don't want it to go on forever. And at fifteen dollars, the price is just right. That's enough for today. Get off my lawn or I'll turn on the sprinklers. I hope you like bullet points, because I've got quite a few today. I usually don't throw out links to other blog posts without a little commentary, but I think Melmoth absolutely nails it. ArenaNet finally acknowledged my profession of choice today: the Ranger. I can finally breathe easy that my eventual Guild Wars 2 character will be just how I want her. More excellent commentary can be had from Ravious at Kill Ten Rats. I still kind of hoping that at least one of the eight will be an entire new class not found in GW. I know that bow wielding classes are the classic noob fodder, but I want to point out that I deleted every hunter I ever tried in WoW. Hate that class. While I'm thinking out loud, why weren't firearms listed on the allowed weapons list for rangers? Will there be a specialty firearms profession? Musketeer? Marksman? Rifleman? While this is becoming "The Post About GW2" anyway, did you call catch the healing and death? Every time I read one of these things, it reminds me about how little innovation happens in every other MMO. I love Champions to pieces, but they still couldn't avoid many of the standard MMO assumptions. Like how ArenaNet tried to answer the problems with UO and EQ with Guild Wars, they are going even further with GW2 and I love them for it. After following the link from Jayedub to his article on Multiplaying, I looked around the site a little and found their Blogs & Sites list. So, fully aware of my vanity, I looked through the list to see if Bullet Points made the cut. And amazingly enough, it did, just not in the General Gaming section. I'm actually listed as one of three Champions Online bloggers. "Holy crud," says I. "If I'm a Champions blogger, I'm not doing a great job. I'd better play more so that I can blog about it." But first, let's take a look at the latest updates from Cryptic. Just today we got the latest Ask Cryptic Q&A post. Of the nine questions posed, six were in regard to character customization options. Considering what a draw that is, I'm not surprised to see that questions about costumes. Of the other questions, one asked about new power frameworks, one inquired about playing as a villain, and one looked into the possibility of new zone-wide events. The funny thing is, while the questions were pretty basic, a lot of the answers came down to "We're looking into it." For people who read the CO forums, none of this is going to be news. But then, I'm sure few people do, even if they aren't the cesspit the WoW forums are. Nonetheless, there's isn't a lot to get excited about. There is a line from the movie The Shawshank Redemption that I will always remember: "Get busy living or get busy dying." I thought about that line after reading the most recent Producer's Letter for Warhammer Online. It looks like a game that is just hanging on, doing what it can to delay plunging into the abyss. Sadly, that's is the same vibe I feel from Cryptic these days. Before you form any angry comments, that is only a feeling. They previously stated that their current plan is to alternate patch months and adventure pack months for the foreseeable future. So it's not like we don't have a general idea what is going on. And, from random forum comments, we know that the developers have been taking some well deserved vacations recently. And The Serpent Lantern just came out a couple weeks ago. Nonetheless, I hope Cryptic starts making some more future looking statements soon. Enough of that. It's too early to start the death watch for a game that doesn't have any symptoms yet. When I logged in recently, I had two goals in mind. I wanted to get back to Vibora Bay and I wanted to take on my nemesis again. These is a lot of Revelation content I haven't even tried yet. As well, I haven't seen a nemesis ambush in ages, so I wanted to start hunting for minions again. Serpent Lantern was a lot of fun, but I'd burn out if I kept running it over and over again. I had a journal full of missions, so I had lots to do. A lot of them involve taking on the various supernatural gangs in the city. Somewhere along the line, a bunch of mafia thugs jumped me. I'd actually forgotten that they were my nemesis' minion since it had been so long since I'd seen them. I was amused by how much they stood out from the werewolves and vampires. But mostly I was happy to know my nemesis was still working. Since they don't attack in instances and that's where a lot of endgame takes place, I was afraid I would never see one again. After completing the nemesis mission and a few in Vibora Bay, I got an invitation to try Therakiel's Temple. Since I've never seriously tried any of the endgame lairs, I jumped at the chance. I should have know better. Upon joining the group, one of the member protested that we needed a PRE/CON tank (Presence for aggro and Constitution for health) and a dedicated healer to beat the lair. The group pretty much fell apart while a tank and healer was searched for and I had to go to bed. It was a disappointment to say the least. It was pretty straightforward to rush through the midlevel lairs with any old group. Considering how open the mechanics are in Champions, especially in how survivable and self-sustaining heroes are, I would have hoped that Cryptic wouldn't fall back so heavily on the holy trinity. Of course, what should I expect when Star Trek Online uses the same paradigm for their ship combat. I shouldn't complain when 99% of the rest of the game is so fun. And with the scalability available in the adventure packs, the future seems fine as well. The final tally in the Read ID thread is 49895 posts over 2495 pages. In the end, Blizzard came around and will not be implementing real name requirements for the forums. Whatever it is that caused them to step back from this precipice (forums, general internet uproar, or someone coming to their senses), they made the right decision. And just in time too. All this crap has diverted us from talking about the good WoW news. 14937. That's the number of posts in the Real ID thread as I begin writing this blog post. Why, might you ask? Excuse me while I put on an episode of Glee. I need something to pick me up while I write this up. 15122. Anonymity is one of the great equalizers on the internet. Anonymity lets people say what they want to say without fear of reprisal. Anonymity lets people act on their best and worst impulses. 15308. Blizzard wants to strip that all away. Beginning with the StarCraft 2 launch, then continuing with the Cataclysm launch, Blizzard's forums are converting to display poster's real first and last names. As you can expect, not everyone is happy about it. 15424. And as expected, some people think that everyone else is overreacting. And the first group thinks they are being dismissed out of hand. And really, no one is actually talking to one another. Just like the WoW Forums really. 15584. Obligatory Penny Arcade Greater Internet Fuckwad Theory link. 15686. On one side, I agree with it. Anonymity destroys communities. But at the same time, the promise of the internet is that we can be whoever we dream to be. Scott Jennings says it best in the comments for this post on Terra Nova. 15699. His own post at Broken Toys isn't a slouch either. 15750. So yeah, there are a lot of tin foil hats going up all over the WoW community (such that it is). It was funny when people were freaking out about their characters being opened up to the world. Now that it's their name, things aren't so funny. 15826. And it's not funny. When Real ID was announced for the game, I knew I wasn't going to participate. I don't want to spread my name around to the friends of everyone I happen to friend. The internet already fosters crazy pseudo relationships and I don't want that spilling out into my real life. Now that the forums are going over, I won't ever find a reason to post there. 16082. Yes, my name appears at the bottom of each of these posts, but that is my choice. I want that copyright notice to appear in my RSS feed so that post thieves can't help but scoop it up as well. I'm not afraid to put it out there, but not everyone has the same thresholds of comfort I do. 16126. Blizzard has made a bad choice here. The forum will be a shadow of its former self, and I'm sure they will count that as a success. Maybe they'll even get people to post who were scared away before. But the community will fracture and it will drift to other forums. 16182. But it's never going to change. The sooner everyone comes to terms with that and prepares to act accordingly, the better. 16352. I could go on all night long. King's Bounty: The Legend - I've owned the sequel, Armored Princess for a while now and really like the game. Since the original was so cheap, I thought I should complete the collection. The Witcher: Enhanced Edition - As I mentioned on Gee Cee's blog, I've been looking at The Witcher for a long time. But I just could not justify the price before. This sale brought it down to the "No More Excuses" level. Introversion Complete Pack - Including Uplink, Darwinia, Multiwinia, and Defcon, the pack is every game they made to date. I've always wondered about them. At five dollars, I couldn't help myself. So far, the only one I've tried is Uplink, but its pseudo-simulation of hacking has already won me over. Monkey Island™ 2 Special Edition: LeChuck’s Revenge - Okay, this one wasn't on sale, but I was going to buy it anyway. I figured I might as well add it along with one of my other purchases. X-Com Complete Pack - What with all of the talk about XCOM, I've been itching to get back to the original. I bought the full thing since the price was stupidly cheap. Borderlands DLC: The Zombie Island of Dr. Ned, Mad Moxxi's Underdome Riot, The Secret Armory of General Knoxx - I liked Borderlands enough that I was interested in the DLC packs, just not enough to pay full price for them. At 66% off, I figured the time was right. Now I just need to upgrade my desktop enough that it runs at a reasonable rate. Mount & Blade - I know that I've missed much cheaper sales in the past, but I could not excuse not owning this one any more. I enjoyed the beta versions that I played, but now I'm interested in seeing how the game finally turned out. Telltale Everything Pack - This was the biggie for me. Every dang game Telltale has ever produced. I waited until the last day just in case, I could not pass on the amazing price. I really enjoy the first season of Sam & Max, but never picked up any of the other series. Now I have got a ton of adventure gaming to catch up on. And that's it. We turn our backs on the devastation we've left behind and seek a better future. A future with a lot of game to play. Since I do a lot of my writing from work, and work has been crazy lately, I haven't had the chance to do any long form blogging. So I'm going to take advantage of the bullet point format to clear my head a little. I'll try not to complain about the job much. I picked up a copy of Puzzle Quest 2 last weekend. That is just about the only gaming I've done all week. Thank goodness PQ2 is actually a good sequel. Otherwise I'd be doing zero gaming. I have been playing one other game: the "How Far Can Steam Reach Into My Wallet" game. I'm coming out well so far, but the Telltale Complete Pack is really tempting. Since RDR at up so much of my gaming time, I never really followed up on my Age of Conan excursion. The sub has already dinged its second month, so I hope to get back in there soon. Speaking of RDR, I still have to write that game up. But where do I start? Especially since so many of you have already done such a great job, what else is there to say? The great and powerful E3 came and went with about as much flash and as much substance as a certain green-clad magician. Out of everything I read and watched online, the only games I'm really excited about are Civilization V and Portal 2. Both PC games, too. Maybe my console gaming focus will be winding down soon. Still plugging away at the gamebook and the book-book. The gamebook I'm hacking at during my lunch break and work. The just-a-book I'm writing in the evenings. Actually, I should be doing that now, but instead I'm venting to all of you kind people. Just goes to show how much I care about you.